The storage of waste quartz sand quantities from the kaolin treatment of the Amberg Kaolinwerke caused the white mountain Monte Kaolino near Hirschau to develop for decades. 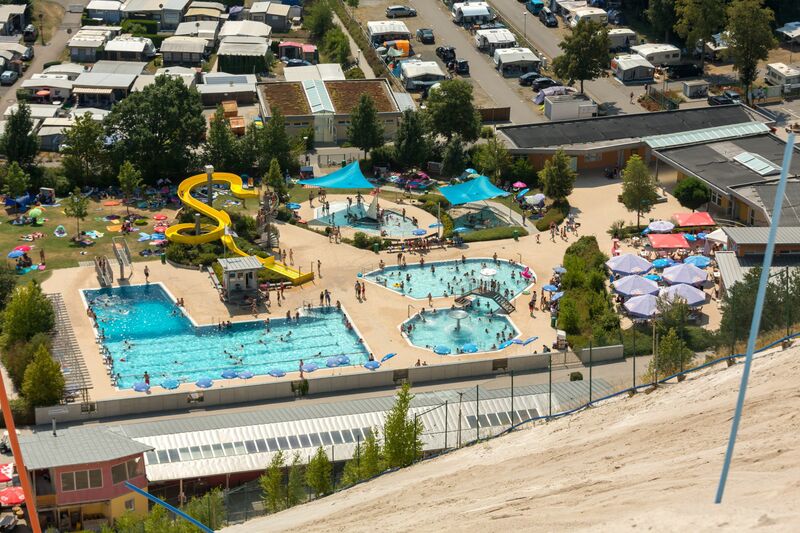 Due to the uniqueness of the mountain over the years the leisure park Monte Kaolino developed. Especially for families, the amusement park is a true paradise. Here everything is very close together and everyone in the family – from small to big – finds something to do. 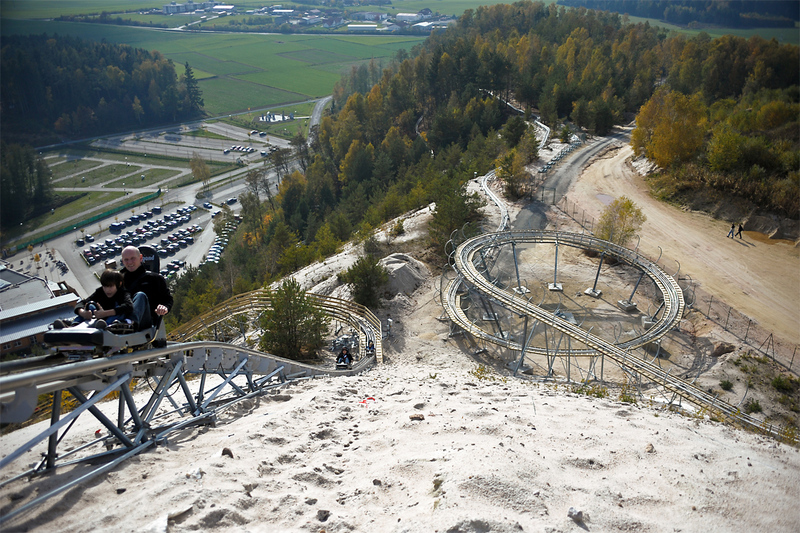 Sandski – Our lift system takes guests comfortably to the top of the 150 meter high quartz sand mountain. Coaster – With our coaster route, it’s fast on a 800-meter track in a 350-degree panoramic gyro, several jumps, waves and six 180-degree turns down the mountain. Every Saturday additionally night tobogganing with campfire and bar service is offered. Climbing – from easy to difficult! 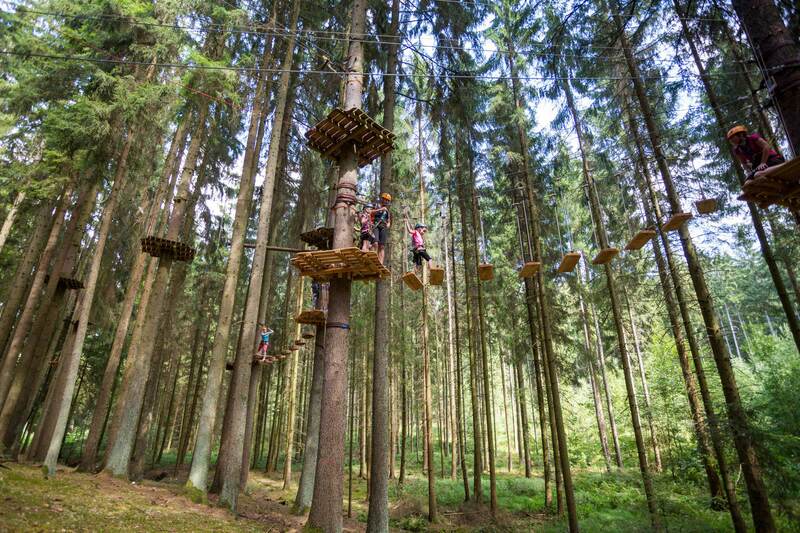 The Waldhochseilgarten offers a very special experience in lofty heights with five different courses. Adventure Golf – The Adventure Golf Park is unique with 18 holes, artificial turf and its unique backdrop, not only in the Upper Palatinate, but worldwide. 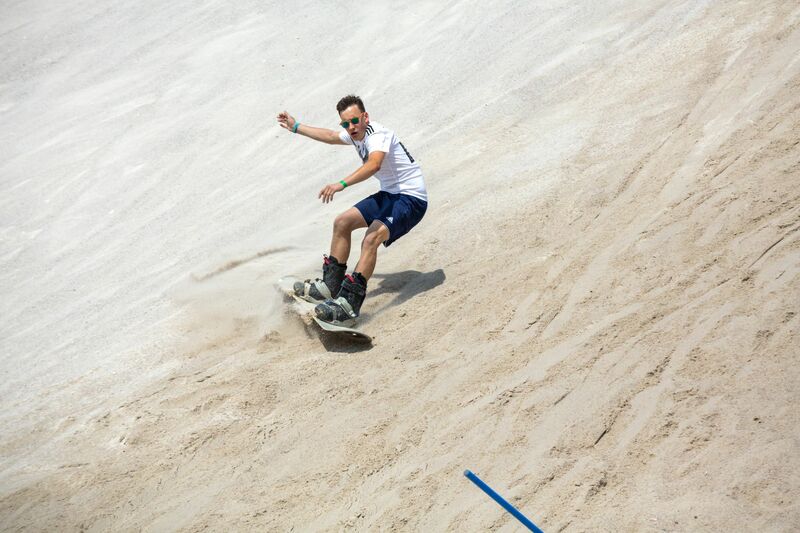 Skating – On a 3.5 km long skater and ski roller course, guests can experience the nature around the Monte up close. 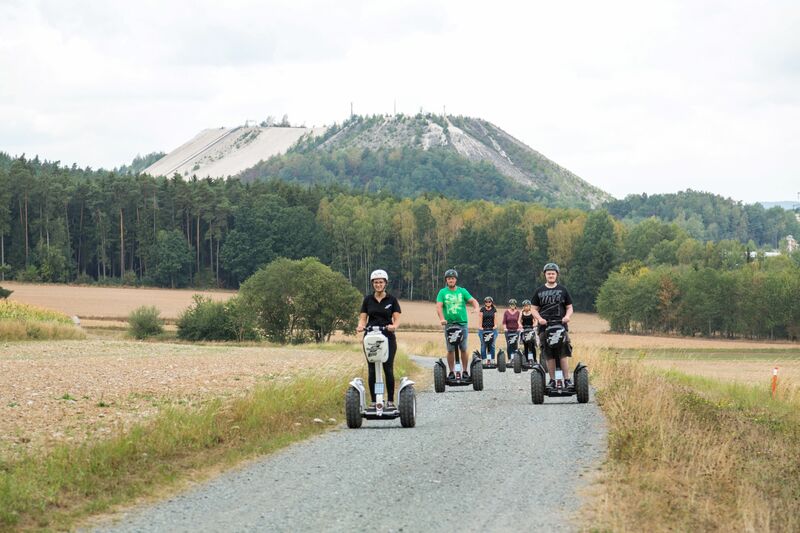 Segway Tours – pure adventure, on guided Segway tours our guests can “experience” the Monte in a completely different way. Winter sports – In winter, more than 8 kilometers of cross-country trails invite you to cross-country skiing.